It's All Connected: Do You Want To Make Butter? Do You Want To Make Butter? My 13 year old niece came to spend a week with me. She spends a week or two here every summer while her parents are working. Of course at thirteen, she doesn't need to be babysat any more and it was a pleasant surprise to get a last minute request to have her here. For the first time ever, there was a list of things she wasn't allowed to do. She also came without any electronic gear. I emailed her dad and asked if this was supposed to be some kind of boot camp and he said he just wanted her to get a different perspective on things. "Can you expand on that a little?". "I don't want her to be one of those facebook brats." Yeah, 'cause I'm never on a computer here! LOL Anyway, on her last night here, she phoned her folks and told me her dad was disappointed that she hadn't made butter. Well, I've never made it either! He reads my blog and may have thought I was going to send him back a little Amish girl instead of a regular teenager. Alrighty then, we'll make butter at 10 pm, just as soon as I remember how I saw my mom do it in the seventies. Pour the liquid off and keep it in the fridge for recipes requiring buttermilk. 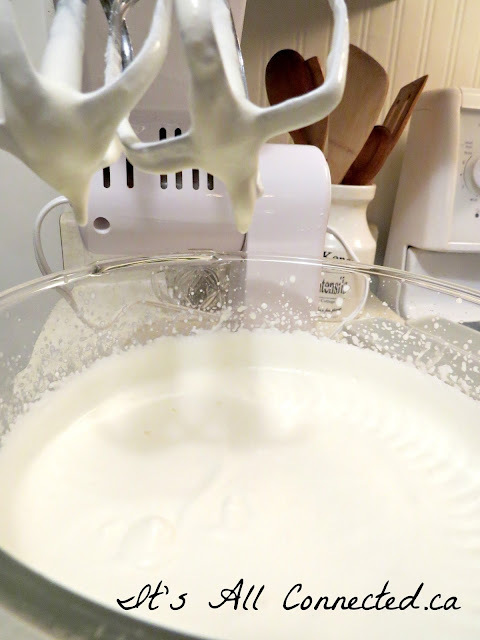 About half the cream becomes butter and the rest is buttermilk. As you press, more buttermilk will be forced out. Keep pressing and draining off the liquid. This will take four or five minutes. It's really easy when your niece is doing all the work and you are standing around taking pictures. Hey, I'm not the delinquent teenager! Add some more water and keep 'washing' the butter until the water runs clear. 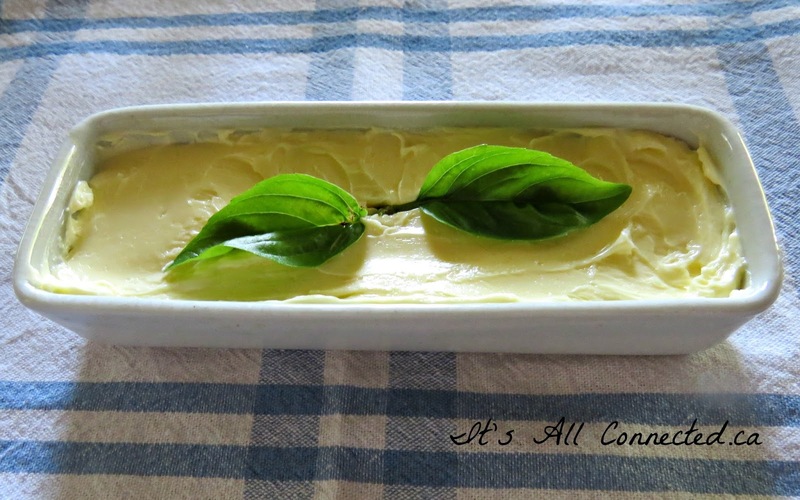 This helps preserve your butter. It usually only takes two washes to get it clear. At this point you can add some ground sea salt for flavour. The reason salt is added to butter is as a preservative. Add some finely minced garlic and you have garlic butter. I've been playing around with various herbs as flavouring as well. Organic herb butter is a big hit when you take it as a hostess gift! 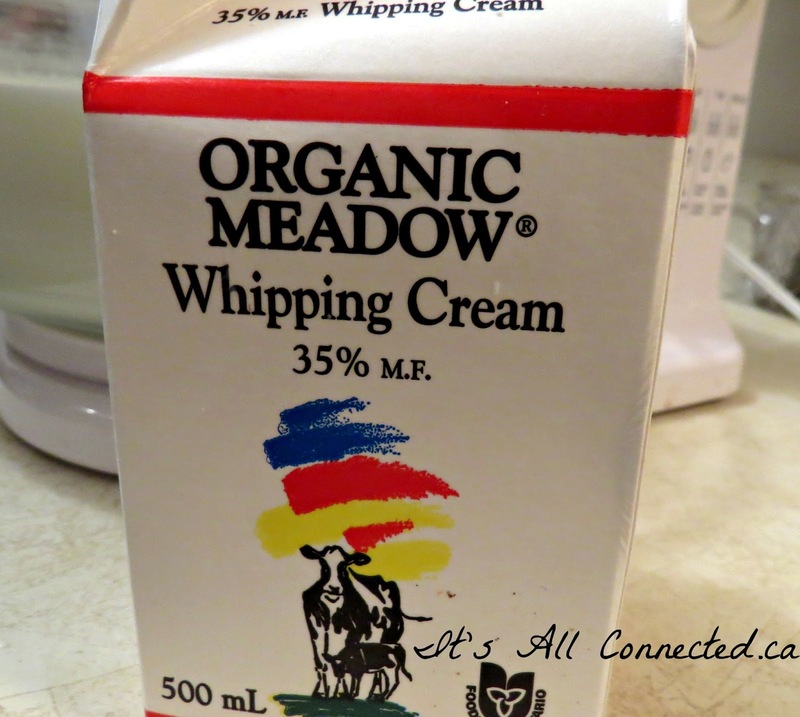 I did a little research and found that butter from grass fed cows actually decreases your cholesterol levels. Yay! She was pretty proud of herself and I do believe that kids have a much healthier attitude toward food when they see the process involved in making it. It's worth doing at least once with your kids. Then we had to take turns on my computer posting about what we had done on facebook. Next time, send her with her electronics! She's rehabilitated! I haven't made butter either but in my country, they do. Specially in the regions of Gujarat and rajasthan. 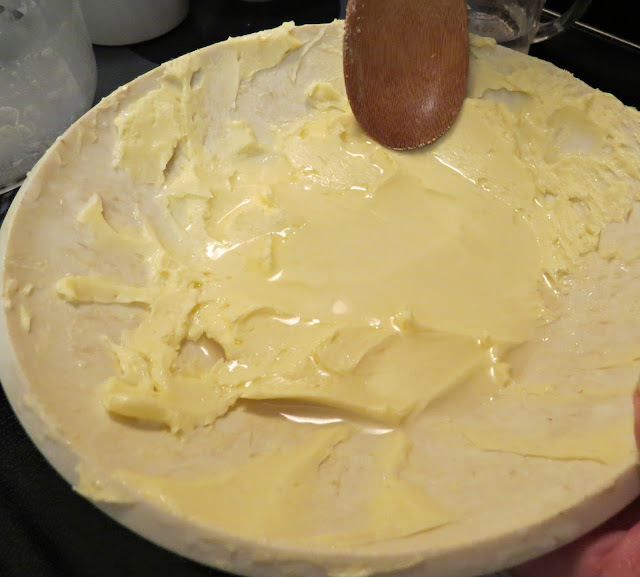 They churn milk and make white butter, which can be further clarified into Ghee, if you know of that. P.S: whats up with dads and facebook? The other day my dad called me up and said, "Well, try to keep your relationships intact even outside facebook". Geee! I have I agree I like my kids to have some electronic free time but maybe not on someone else's watch. I bet she loved all the activities on the farm. My kids would love to try this. Pinned. What a great post ( like always Maureen ) I always leave here having learned something !!! THANK YOU!!!! This is absolutely amazing! If I wasn't working a booth at the local Farmer's Market this weekend I'd be making butter. I will have to hide this post. 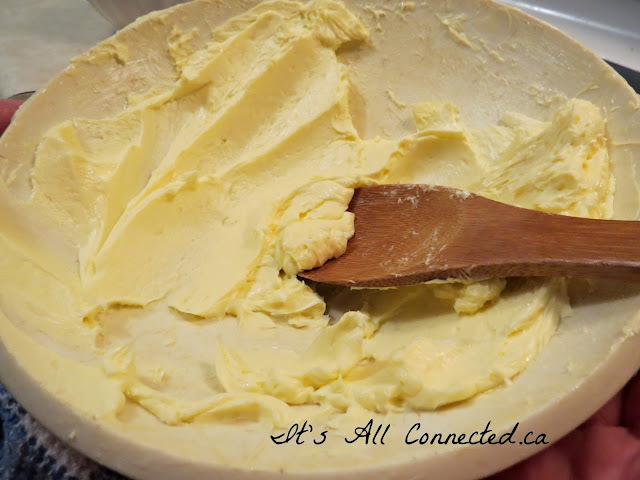 If my hubby knew how easy it is to make butter he would have me making it all the time. I will have to try it once just to give him a home made taste of butter. So pinning this! Thanks! Maureen, do you remember using mason jars like Lydia before Mom tried using the blender? I must say you butter was absolutely delicious and I will never be satisfied with regular butter again. Now I have to make my own butter all the time, glad it's easy! OK, sending back someone other than a regular teen had me laugh out loud! 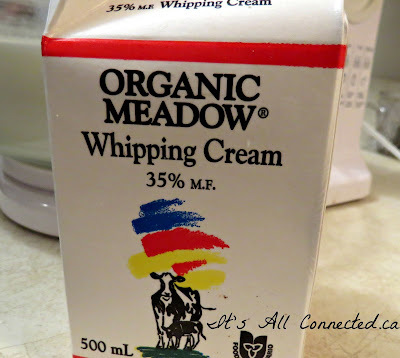 When I was a kid we used to pass the jar around in school and shake the cream till it turned to butter. I had an aha moment here.... it didn't occur to me I could make butter with the grands and NOT have to shake the jar all day. Duh. Gonna make some in the mixmaster, thanks. Maureen ... what a special treat to have your niece spend the week with you. I bet when she tells her friends that she spent the week in the country with her Aunt and she made butter, they will 'roll their eyes' or not know what she is talking about. I bet she had a really good time and you likely learned something new from her too. You are a good teacher. Audrey Z. @ Timeless Treasures ... oh yes, I have churned many pounds of butter in my day. Well now I have to tell you that I'm feeling really guilty. When I lived in Montana, I thought I would die if I did not have one of those tabletop, hand-crank butter churns from the 30's. Got one. Have I ever made butter? NO! Guess I'd better give it a try! I never knew this was even possible! So glad I found you in Freaking Awesome Friday! I still remember being handed a little baby food jar filled with cream in 3rd grade. 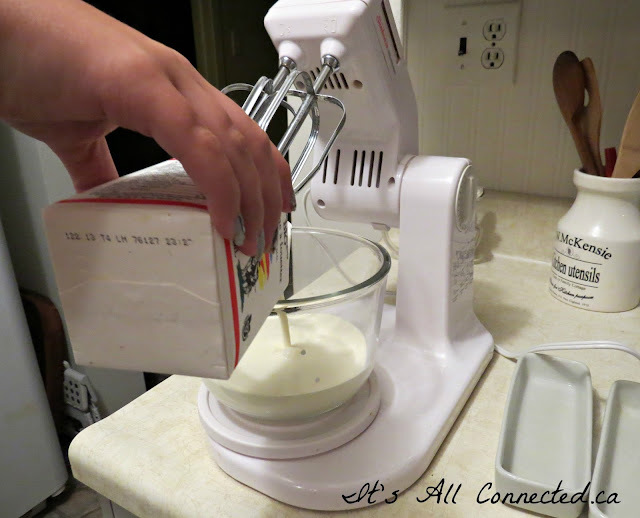 We had to shake and shake it to make our butter. Yum! 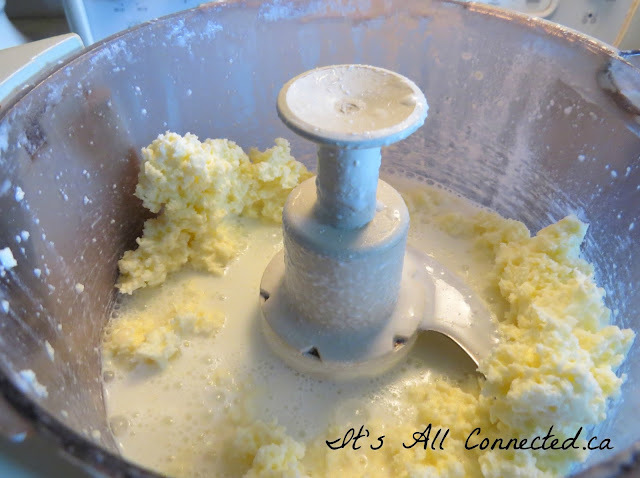 I barely remember my grandfather teaching us to make butter in a churn. Never thought of doing it now. Good for your niece. I hope she posted it on FB! I've noticed that you made a perfect butter, you are really amazing though. How many trials did you make to make perfect butter? I've also wanted to ask if you can make a watermelon jam? I've read that watermelon is really good source of something like this arginine according to mercola, so that I think would be better if I can preserve it a bit longer than a usual watermelon fruit. Can you help me? What a funny post. Your facebook parolee is adorable. I can't believe she made butter! And, then you posted about it on facebook. Thanks for the giggles, I really needed it this morning! 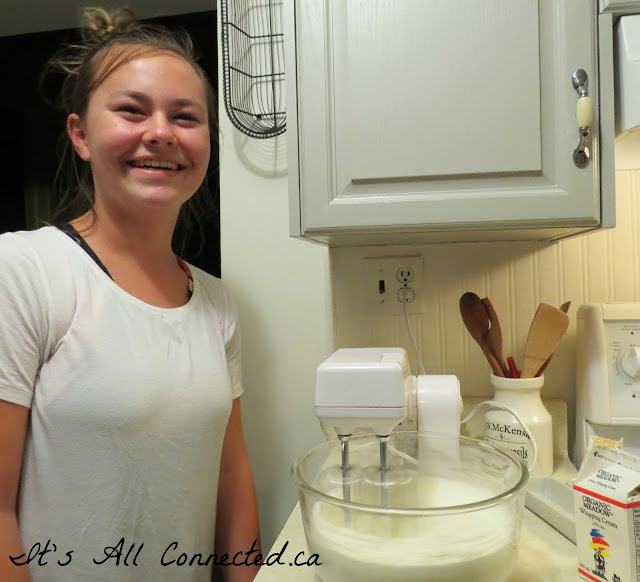 I think that making butter at 10pm would make you the coolest Aunt to hang out with, I bet she loved her stay. And she probably didn't miss the electronic gadgets half as much as expected. 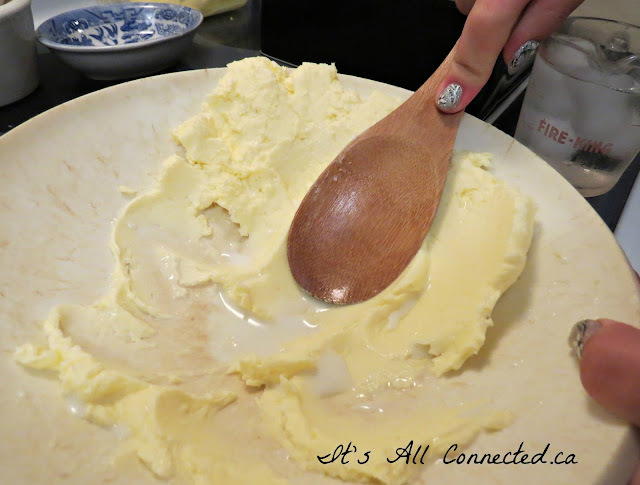 I'm not sure I'll ever try and make butter, but I loved the post, as always ! butter butter butter just give me some butter to melt in my sugar! Loved this! 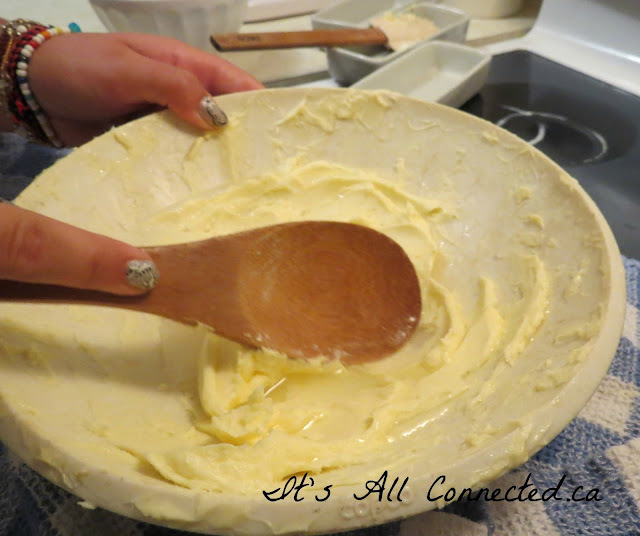 I seem to remember making butter with my Mum by shaking cream in a jar for a very long time! Are The Chickens Pulling My Leg?